Columbia-Hickman football coach Arnel Monroe dead after heart attack. 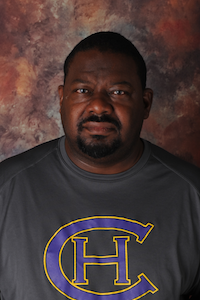 Columbia-Hickman Head Football Coach Arnel Monroe died Sunday morning of a heart attack. He was 49. Hickman was scheduled to start summer football practices Monday. In five seasons as the Kewpies’ coach, Monroe was 18-33 and the team was coming off an 0-10 season. The Hickman football program had struggled to have success since the opening of Columbia’s third public school, Battle High. 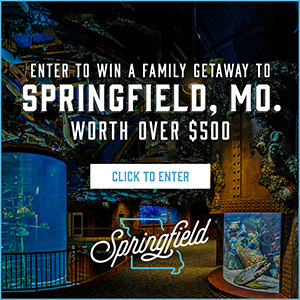 Monroe was a Hickman graduate in 1985 and played football for four years before attending Central Missouri. Before becoming the head coach at Hickman, Monroe started as an assistant under Gregg Nesbitt in 1995, coaching nine years under Nesbitt. He was on staff when the Kewpies won a state title in 2004 and became the defensive coordinator in 2006. Monroe stayed on staff when Nesbitt left and Jason Wright was named head coach. Monroe took over the program in the spring of 2011. Hickman went 9-2 in 2012, his first season and lost in districts. After Battle opened the following season, the Kewpies never won more than three games. Monroe was also a teacher with Columbia Public Schools and recently worked as a special education teacher at Hickman. 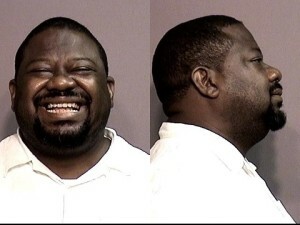 Columbia Hickman High School football coach Arnel Monroe was arrested for driving while intoxicated, after being stopped by Columbia Police at a DWI checkpoint shortly after 4 a.m. on Sunday morning. He was arrested and later released on $500 bail. Monroe served two-years probation in 2006 after a previous arrest for DWI in Columbia. Monroe has been on the Kewpies football staff since 2011. According to KMIZ-TV, Monroe was suspended during the 2013 for undisclosed reasons and missed nearly two weeks. Hickman went 3-6 last season.